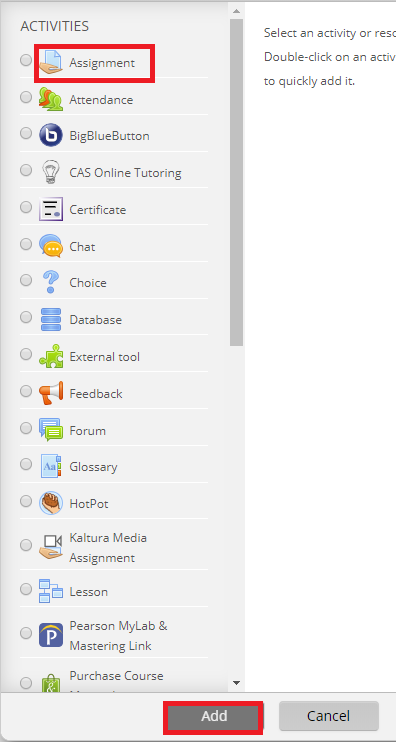 Moodle classifies some activities as Assignments when students will get a grade for completing the activity. When an assignment is created, Moodle will automatically place a Grade Item for that assignment in the GradeBook. This grade item will appear as a column in the GradeBook spreadsheet. Assignment Grade items are different from Manual Grade items which are typed directly into the spreadsheet. The grades for Assignments are entered by the instructor on a when they create the Activity. 1. Log on to Moodle and select the course. 2. At the Course Main Page screen, turn editing on by clicking on the button marked Edit. 3. Click the Add an Activity or resource button. PLEASE NOTE: There are two different ways to complete the next step depending on which view you are in. If you see two separate drop-down boxes, click Add an activity and select Assignment. For more information about this option, view Activity Chooser Options. 4. Select the Assignment you wish to add from the list then click Add at the bottom of the window. 5. Assign a Name and Description to your Assignment. 6. 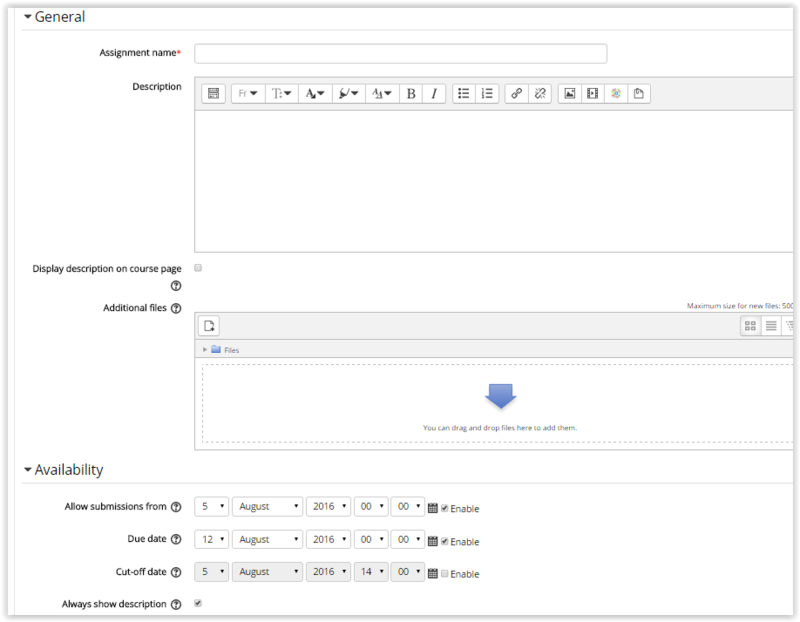 Personalize the assignment in the assignment settings. 7. When you are finished making changes, click the Save and Return to Course button.